This high power travel charger with micro USB data cable can power even high demanding devices like Smartphones and tablets. 2.0 Amp charging power offers a fast convenient charge while the detachable Micro USB charging cable doubles as a sync cable for your PC or laptop. This high quality genuine product is available in bulk packaging. OEM Part Numbers: ETA-U90JWE/ETAU90JWE/ETA-U90JWEBXAR/ETAU90JWEBXAR/ETA-U90JWS/ETAU90JWS/ETA-U90JWE+ECB-DU4EWE. Works with: Galaxy S3 T999 i747 L900 L700 i9300, Note 2 i717 i317 T889 Galaxy S4 i9500 M919 S4 S2 T989 i7 i777 Skyrocket D710 D600 Epic (Galaxy S 3G 4G S2 S3 S4 Note I Note II Galaxy S4). 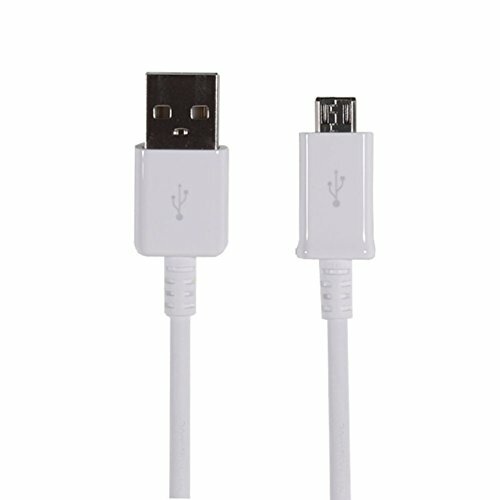 Package includes: Travel Adapter (ETA-U90JWE) and Micro USB Cable (ECB-DU4EWE). Also Compatible with the Galaxy S5! Just plug it into the micro side only. I would bet my car that this is a cheap counterfeit Samsung knockoff. I stupidly bought this item by accident instead of the actual OEM item I was researching. It looks legit, but the USB cord is much shorter than the three OEM Samsung charger USB cords that I have, legitimately purchased with my devices. 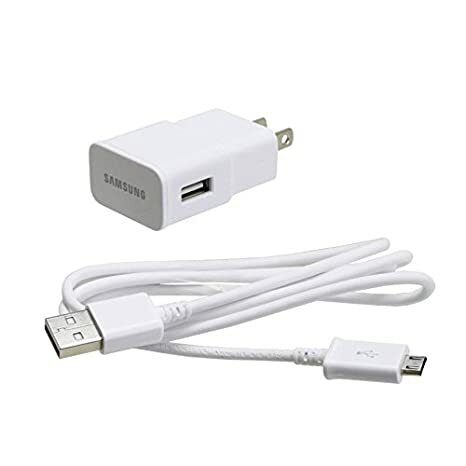 Samsung does not make two sizes cords for these chargers to the best of my research. Out of the box, this thing never charged, and the cord is loose. Using another working cord, the charger still did not work. Pointless waste of time on an obviously inferior product, based on my experience and the other reviews that I now see stating similar problems. 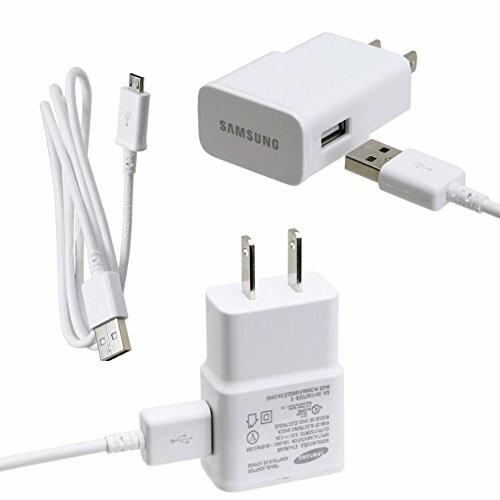 I read the negative reviews and still made the bad decision of ordering the samsung charger. Looks real...but basically melted the usb cable. It got so hot I could not hold it with my hand for a minute or two...and to top it off, it stopped charging after 10 minutes. DO NOT ORDER THIS CHARGER!!!! Worst purchase ever made!!! It never charged the phone and almost damaged my port with the usb cord they provided when i attempted to remove it from my S4 phone. In fact it it charged a blu phone when I changed the usb cord but still not the S4! Beware -- this item is misleadingly advertised. 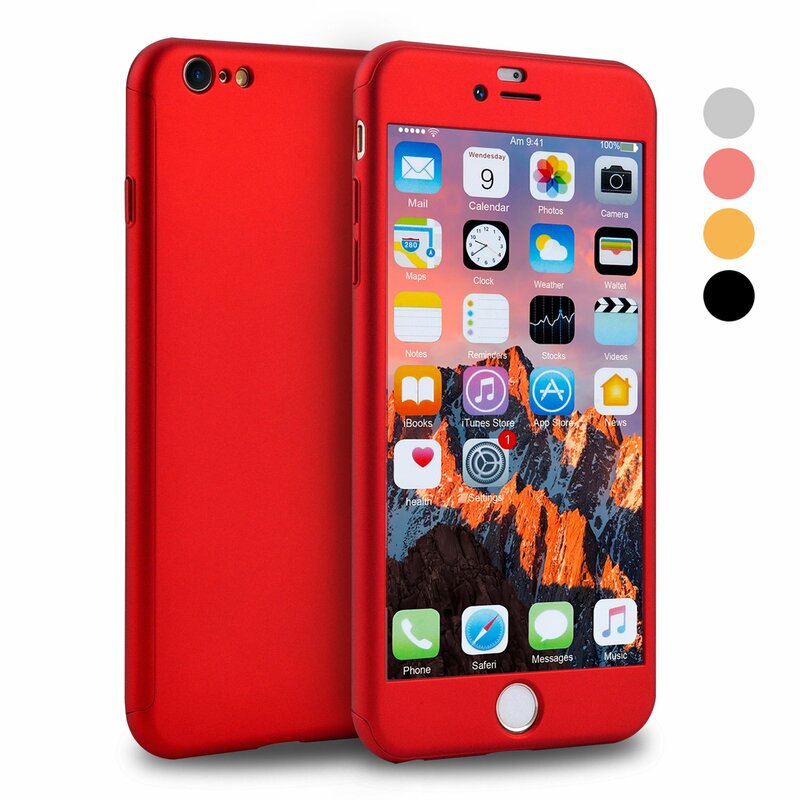 It clearly says in the NAME of the item that it’s for a Samsung Galaxy S5, among other phones. 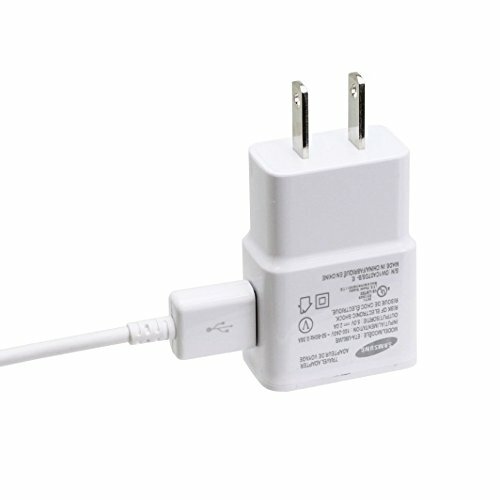 At the time I bought it, the title read: “Samsung OEM Universal 2.0 Amp Micro Home Travel Charger for Samsung Galaxy S3/S4/S5/Note 2/Note 3 - Non-Retail Packaging – White.” So you might think upon ordering that you are getting a USB-3 cable, which is the kind of cable that comes with and goes with a Galaxy S5. But no, you are not. What you actually receive is a Micro-USB cable. And yes, while that is what’s pictured in SOME of the listing’s photos (other photos show different parts that only add to the confusion depending on which color you are looking at), it’s still all very misleading when you combine it with the changed verbal descriptions that come along with each color choice. 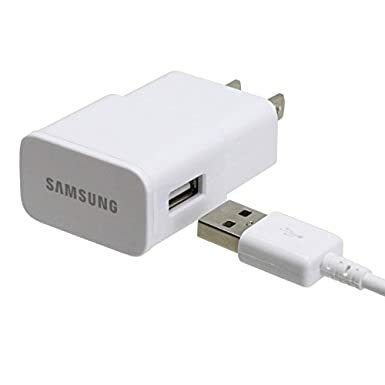 Now, while it’s true that a Micro-USB connector WILL fit and charge the Galaxy S5 (you have to dig pretty deep to find that information, and again, it’s misleading when combined with the title), the fact is that charging that way takes 20-30% longer than if you had a true USB-3 cable. Additionally, nowhere in this item listing, nor on the Seller’s page does it state that returns aren’t allowed on this item. So, when I received an item I wasn’t expecting, I figured I’d just return it and then get go somewhere else to get what I originally intended to buy. But no, I got a message on Amazon stating “This item isn't eligible for return.” I wasn’t able to find any way to contact the Seller directly to resolve any of these issues; there were at the time of this writing no links on their page for feedback or getting in touch. So I contacted Amazon directly, outlined all the details, and they have already refunded my money (good on them). Just make sure you read the ENTIRE listing, notice how what you get or don’t get changes based on what color you’ve selected, and understand that you aren’t necessarily ordering an actual USB-3 charger….it could instead be a charger that isn’t what you wanted, but will work with your phone that should in reality use USB-3 charger. Buyer beware for sure on this one. It's NOT a Samsung Product!!!! I waited a while to see how this would work before posting my review. Last night said item would not charge at all, I took the cable to the unit off and smelled it and it was 'Burnt'. I just glad it did not burnout or fry my S5. Again please note: This Is NOT a Samsung as there is no logo on the top left side of the charger where Samsung stamps theirs. I gave it two stars as it worked really good since last year and I am giving them credit for not frying my S5.